This is a young adult novel recommended for ages 13 years and up. Adult readers like it as well. This is a middle grade novel, and recommended for ages 11 years and up. In Australia, this novel is available thru Booktopia. 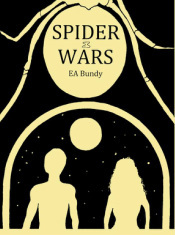 SPIDER WARS is a Young Adult sci-fi novel recommended for ages 13 and up. just above and a link will take you to that page on Amazon. Other outlets will follow in the USA, Europe and Australia. recommended for ages thirteen and up. It is a mixed-genre book that combines a detective story with urban fantasy. you to that page on Amazon. This is a young adult novel recommended for ages 12 and up.